New York’s fun. are releasing their debut album ‘Aim & Ignite’ on Hassle Records on June 7. The guys are playing a nine date UK tour in May starting off at Liverpool’s Sound City on the 21st. 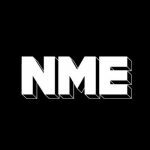 They played Club NME KOKO a few weeks ago and sent us this exclusive acoustic performance of ‘At Least I’m Not As Sad As I Used To Be’.